ARE THE REAL PERPS GETTING NERVOUS? Are the real 9/11 perps getting nervous? 9/11 Truth is busting out all over around this 15th anniversary. 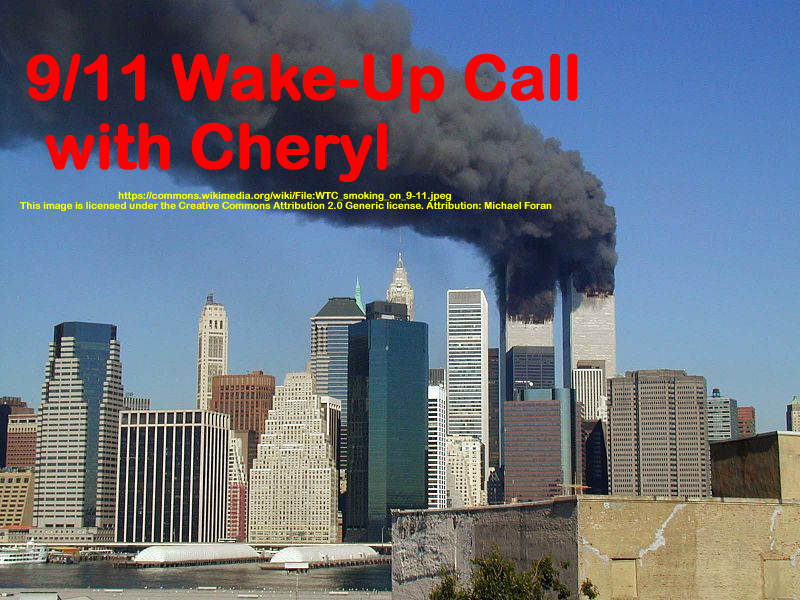 On today’s show Cheryl discusses some of the many ways that 9/11 truth is getting into the mainstream and also discusses how the mind control term “conspiracy theory” is being challenged and exposed for what it is. You’ll also hear an interview between James Corbett (www.corbettreport.com) and Michel Choussodovsky (www.globalresearch.ca) from a GRTV video about who didn’t do 9/11 and the ploy of the 28 pages. Cheryl shares two of James Corbett’s “9/11 Suspects” reports on Rudy Guliani and Philip Zelikow. The videos of these can be found at www.corbettreport.com or on youtube. This show was broadcast on September 29, 2016. This entry was posted on Thursday, September 29th, 2016 at 6:32 am	and is filed under 9/11, 9/11 Wake Up Call, Anti-War, Education, False Flag/Fake Terror, Freedom, Geopolitics, News, Politics, Protest. You can follow any responses to this entry through the RSS 2.0 feed.